Nationals GM Mike Rizzo says the team wants Carter Kieboom to get more seasoning in Triple-A. 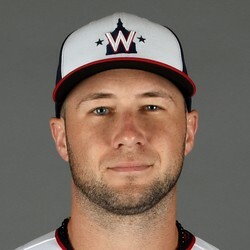 There was a thought that the Nats could call up Kieboom with Trea Turner (finger) looking at an extended absence, but Washington wants him to get more reps and at bats. Kieboom always figured to make more of an impact in 2020 but the Nationals were aggressive with Juan Soto’s promotion last year and could’ve gone the same route in this situation. Kieboom is a great add in dynasty leagues, however.